Black beans are a good choice for a vegetarian or non-vegetarian, so you don’t need to worry anymore when one of the members of your family is vegetarian because black beans could be an alternative choice to replace the protein of meat. Besides, it is available at an affordable price so it won’t harm your monthly budget. Dried beans or canned beans are two possible choices and storing them is not that difficult as long as you put the dried beans in the dried container, you could keep the beans in quite a long time. Health Benefits of Black Beans from its nutritions could be your best daily consumptions for your family. Some researches also prove that this beans very useful for human health. Healthy Bones: Black beans is so rich in minerals like magnesium, iron, zinc, calcium, phosphorous, manganese and copper. Those substances are essential for bones. They contribute to maintaining and building a healthy bone structure. Lowering Blood Pressure: As rich in potassium and low in sodium, of course, black beans are good for those who have a blood pressure problem. Sodium is one of the substances that could cause the rise of blood pressure level while potassium has functions as a natural enemy of sodium. Help Control Diabetes: Fiber contained in black beans is essential for those who are currently suffering Diabetes type 1 and type 2. In type one, fiber contained in black beans will assist in lowering the blood sugar level while in type 2 will assist in increasing the insulin and improve the insulin tolerance. Reduce the Risk of Heart Disease: There are some substances contained in black beans which are beneficial for your heart health. The first is of course minerals. All type of minerals contained in black beans are good for your heart like potassium, magnesium, and iron. Cancer Prevention: Flavonoid and phytochemical compounds found in black beans are powerful in preventing the development of cancerous cells in your body. Those two substances will act as anti-inflammatory and antioxidant which are the reasons why cancerous cells cannot grow in your body. Good for Digestive System: Black beans considered as one of the healthiest food in the world because of the high fiber which is contained in this variety of beans. Though fiber is one of the substances mostly found in food products that cannot be broken down fiber has a lot of function in the human body and one of them is very good for digestion. Good for Weight Loss: What kind of food which is right for you who are currently in the weight loss program? Well, your diet will require foods rich in fiber, healthy carbohydrate, relatively high in protein and low in fats. Fortunately, black beans are rich in fiber, containing relatively high of plant-based protein, simple carbohydrate and of course, very love in fats. Enhance Fertility: One specialty that black beans have is it is containing a rare mineral which recent studies have found to be effective in reducing impotence and erectile dysfunction problem. The rare mineral is called molybdenum. Why it is called as rare? It is because it is really rarely found in foods so it makes black beans unique. Good for Pregnancy: Some substances contained in black beans which are useful for pregnant woman. The first is folate. Folate when entering your body it will be turned in to folic acid which is beneficial for the development of fetus’ brain as well as the spinal cord. So, it is an essential substance that could prevent a baby born with a birth defect. The second is minerals. Good for Nervous System: Folate system contained in black beans is not only good for a pregnant woman but also good to maintain the health of your nervous system. The amino acid contained in black beans though already combined with molybdenum will not function optimally without folic acid. The amino acid is the essential substance required by your nervous system, which without which could increase the risk of Parkinson diseases and in worst condition could cause diseases like Alzheimer. 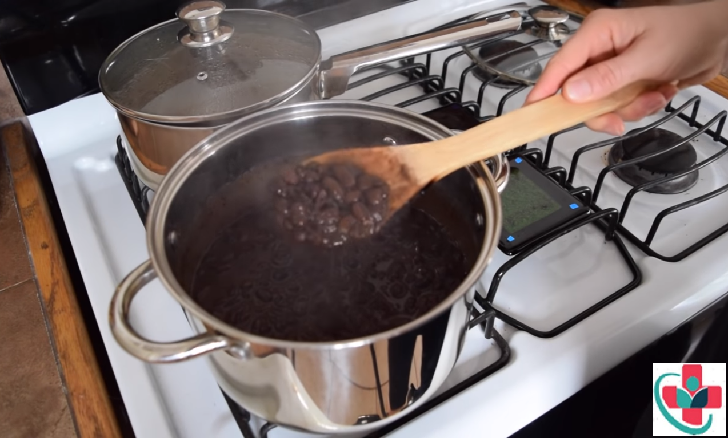 Energy Booster: The simple carbohydrate found in black beans will provide you the energy you need for your daily activity while the fiber and protein contained in black beans will help in optimizing the absorption of carbohydrate by turning it into energy and will not affect your sugar level at all. Fighting Anemia: Since black beans are so rich of minerals especially iron of course it is good to fight anemia. The result of iron deficiency in your body is you will easily get tired, fatigue and then anemia. Just by consuming black beans you could deal with those problem easily and effectively because black beans is rich of iron and some more type of minerals which are good for the production of red blood cells.